Prepare the barbecue for direct cooking over a medium heat. Brush the cooking grills clean. Barbecue the lamb, bone sides down first, over direct medium heat, with the lid closed as much as possible but turning once or twice and moving the racks over indirect heat if flare-ups occur until cooked to your desired doneness, 15 to 20 minutes for medium-rare. Remove from the barbecue when the internal temperature reaches 52°C (125°F). 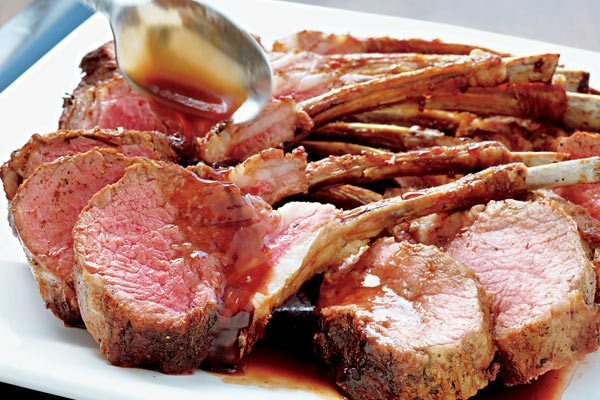 Allow the lamb to rest for 5 minutes before carving into chops (the internal temperature will rise during resting).